“It was like I’d finally met my maker,” enthuses Rhys Darby of meeting Jim Carrey, speaking with a degree of awe he might otherwise reserve for a UFO sighting, explaining how the two slapsticking, physical comedians bonded over their intention to buy jetpacks. “$100,000 is nothing to him of course,” the 34-year-old Aucklander laughs, “but I might need to make more movies”. As a sound effects specialist, impersonations of jetpacks have been a fixture in Darby’s repertoire since childhood, along with robots, dinosaurs and an entire menagerie of mythical creatures. Darby is flying into the UK next week, by conventional means disappointingly, for two dates to promote his debut stand-up DVD Imagine That! It includes a typically energetic portrayal of the comic’s childhood and stint in the New Zealand army, which he was encouraged to join by his mother. Darby’s cartoonish stand-up, in which he chiefly recalls his younger, foolish self indulging in escapist tomfoolery, seems a world away from the role that is currently turning him into a star, that of the strait-laced, ineffectual band manager Murray Hewitt in cult sitcom Flight of the Conchords. Tellingly though, when Jemaine Clement and Bret McKenzie recruited their fellow Kiwi to play Brian, Murray’s prototype in the BBC radio series that preceded the Conchords’ New York-based television show, they rejected the five silly voices Darby offered them in favour of his own. Moreover, the adolescent fantasising the comedian presents in his stand-up would undoubtedly resonate with Murray, a frustrated deputy cultural attaché in the New Zealand consulate who dreams of managing a successful rock band and witnessing a “leggy blonde” sweep by on a photocopier. Indeed, his wife Rosie calls him the most confident person she knows, yet “without being arrogant about it”. Starring Clement and McKenzie as struggling musicians, the cast of the Emmy-nominated Conchords, which has screened on BBC Four in the UK, exist in a strange parallel universe to their characters in the show. Within the world of the comedy, the few songs that the band actually perform – those that aren’t in their heads – are unremittingly awful and their “fanbase” consists of a solitary stalker, Mel, played by if.comedy nominee Kristen Schaal. In reality though, the Conchords’ latest album made number three on the US billboard charts and they have legions of ardent followers, the ‘Flight Attendants’. “We’ve had to cordon off certain streets for filming,” Darby says of production of the eagerly anticipated second series, which Clement and McKenzie have suggested will be the last. “The fans find out where we’re doing it and invariably you hear girls yelling things out.” He himself recently portrayed an obsessive fan in a Nike commercial with Roger Federer, breaking into the Swiss tennis star’s home and engaging in a racket duel that recalled the Cato scenes in The Pink Panther. As a certifiable loser in a culture that champions achievement, the popular, sometimes overshadowing appeal of the Conchords’ manager has undoubtedly been the unlikeliest aspect of the band’s US success, with fans asking after Murray at the duo’s live performances and the character winning New Zealander of the Year in 2007. Conchords was Darby’s screen acting debut. His follow-up is playing Carrey’s boss in the movie Yes Man, out December and adapted from Dundonian author and TV presenter Danny Wallace’s comic memoir of saying “yes” to everything. The film’s director Peyton Reed “loved Murray and wanted me to do a reading for this role” Darby relates. “It was one of those occasions when I was meeting some very well-known people and they were more excited to meet me than I was of them. I was really thrown by that. “It’s totally different to the book. Obviously, they’ve created my character to make it bigger. Norman is a little bit more flamboyant than Murray, likes to hold these fancy dress parties and he’s a bit more of a nerd, but he still has that enduring decency. It was good for me with it being my first movie, because if the character had been really different to what I’d just done, I’d probably have shat myself. He maintains that Carrey was a “really supportive” presence on set, but he still had to occasionally raise his game. In May, Darby appears in Richard Curtis’ The Boat That Rocked, set in 1996 and loosely based on the pirate station Radio Caroline, alongside Kenneth Branagh, Emma Thompson, Phillip Seymour Hoffman and Bill Nighy. Fortunately for a fledgling actor in such distinguished company, he was once again asked to play to his strengths. 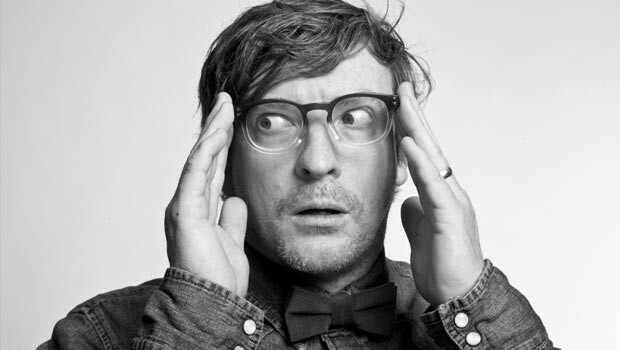 Rhys Darby’s live stand-up DVD, Imagine That!, is out now. A version of this article originally appeared in the Scotsman, October 8.